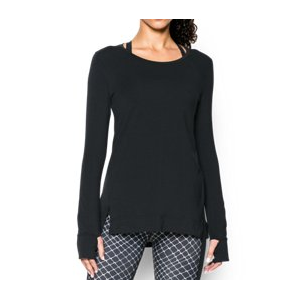 Under Armour Women's Studio Oversized Long Sleeve Our softest, most amazing cotton construction delivers unrivaled comfort & quality. Soft & durable framis tape raglan sleeve detail. Open crew neck collar. Slight drop-tail hem offers extra back coverage. 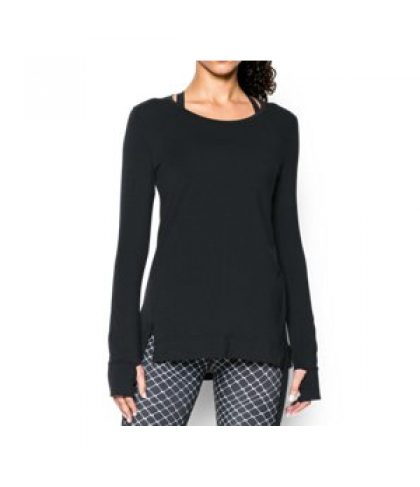 Thumbholes keep sleeves secure & help seal in body heat.